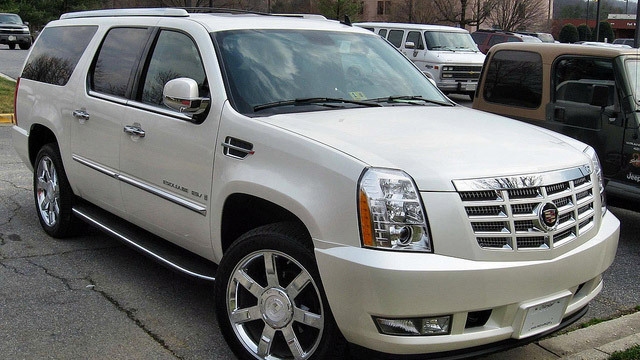 For top-notch Cadillac service, turn to the auto mechanics at Walker Automotive. We are honored to be the go-to auto repair shop for both New London and Wilmot drivers, as we offer courteous customer service and top-of-the-line Cadillac service. Our auto mechanics will keep your Cadillac rolling down the New London and Wilmot roads. In fact, the owner of Walker Automotive, Nathan Walker, is a Master Cadillac mechanic. At Walker Automotive, we try to stay ahead of the curve, which is why we have access to a global network for auto repair. For example, if we come across a complicated issue on your Cadillac, we can find the answer on this database. We like to think there is no problem we can’t solve. “Walker Automotive is a top shelf auto repair business that goes above and beyond in satisfying their customer and delivering the best reliable service to the customer's automobile, regardless of age of the vehicle. Nathan and his mechanics have done repairs to our over aged Tahoe on numerous occasions and our vehicle comes back to us running like new.” -- Geo and Linda W.
From preventative maintenance to a complex brake repair, trust Walker Automotive to handle any and all auto repair. It’s all about transparency here, as we are upfront and honest each step of the way. For a facility convenient to both New London and Wilmot that goes the extra mile to repair and maintain your vehicle, you are in the right place. Schedule an appointment for Cadillac service. Walker Automotive is located at 3 Deerwood Dr., Wilmot, NH 03287.